Christened F-Pace, Jaguar’s first-ever crossover is scheduled to greet the public for the first time this September at the Frankfurt Motor Show. However, the British firm will give cycling fans an early glimpse at the soft-roader during this year’s edition of the Tour de France. 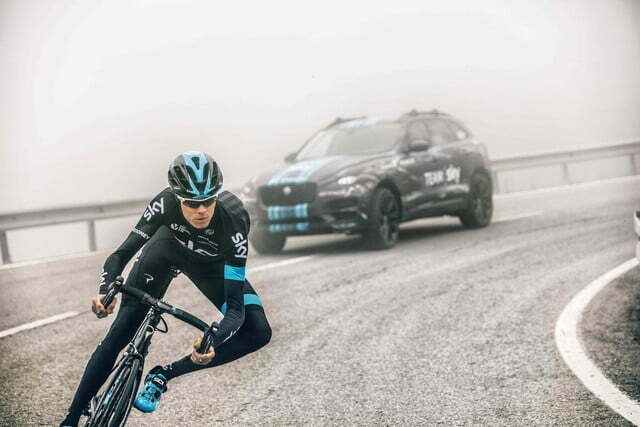 Fittingly, the F-Pace will be the official support vehicle of a British team named Team Sky during the first stage of the Tour. 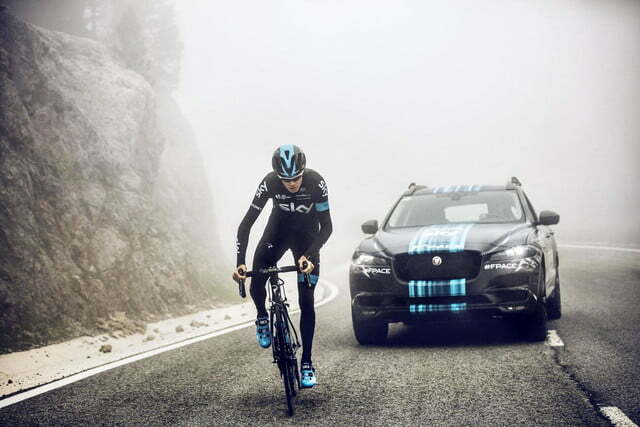 The crossover loaned to Team Sky will be clad with light camouflage and it is cautiously billed as a prototype, but Jaguar has all but confirmed it is essentially the same model that will land in showrooms in time for the 2017 model year. 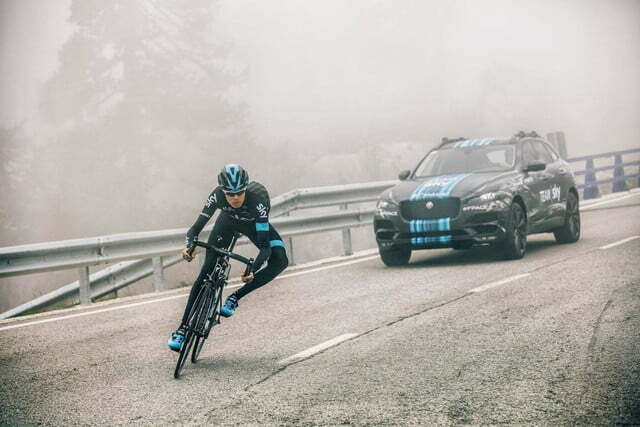 The F-Pace will be tasked with carrying a crew of four people — including the team’s director, a senior team member, a doctor and a mechanic — a trunk-full of miscellaneous gear and a few bikes during the individual time trial. Jaguar’s Special Vehicles Operation has designed an innovative quick-release bike rack fitted with a telescoping clamp. Jaguar’s teaser images confirm the F-Pace will be nearly identical to the C-X17 concept that was presented at the 2013 Frankfurt Motor Show. The headlights and the grille have made the jump from concept to production with only minor modifications, but the crossover is fitted with a less aggressive-looking bumper. Both four- and six-cylinder engines will be available, and rumors indicate a high-performance model powered by a V8 engine will round out the lineup a little later in the production run. The F-Pace will ride on the same modular platform as the entry-level XE sedan, and it will be built largely out of aluminum in order to weigh as little as possible. Stay tuned, more pictures of the camouflaged Jaguar F-Pace will be published during this year’s Tour de France, which kicks off on July 4.